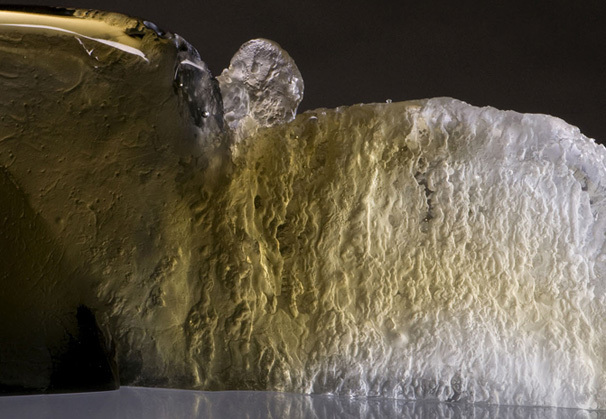 British artist Joseph Harrington has developed a unique casting technique that he calls "lost ice." 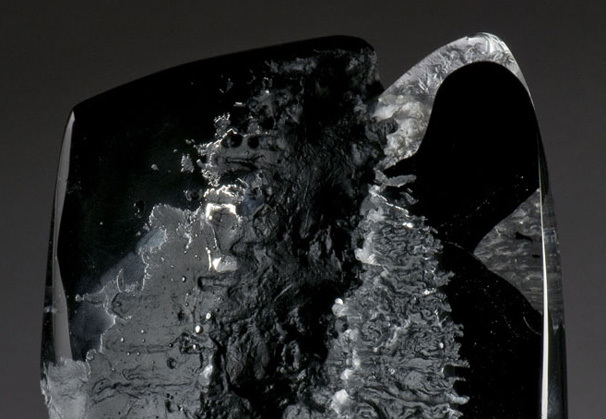 This process allows him to "harness the movement and transience of ice." 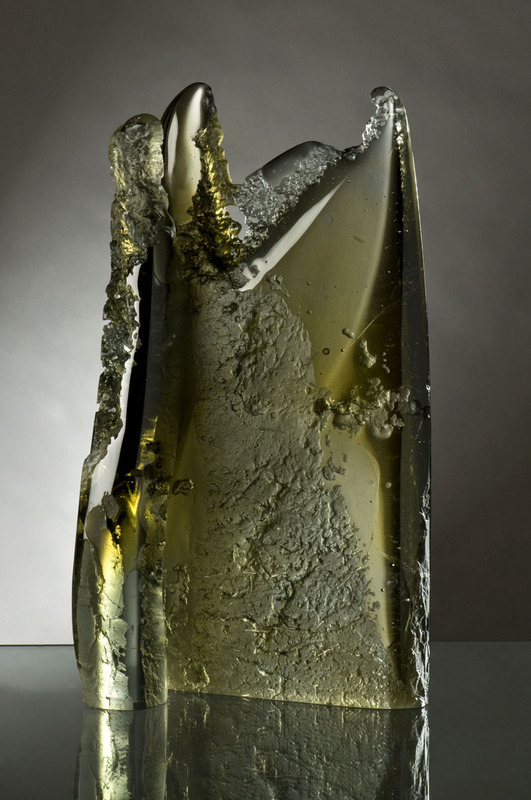 Harrington was a finalist for the 2006 Bombay Sapphire Prize, a shortlisted finalist at the 2006 International Festival of Glass curated by Dan Klein, and a finalist in e-merge 2010. He is represented in the United States by Bullseye Gallery. 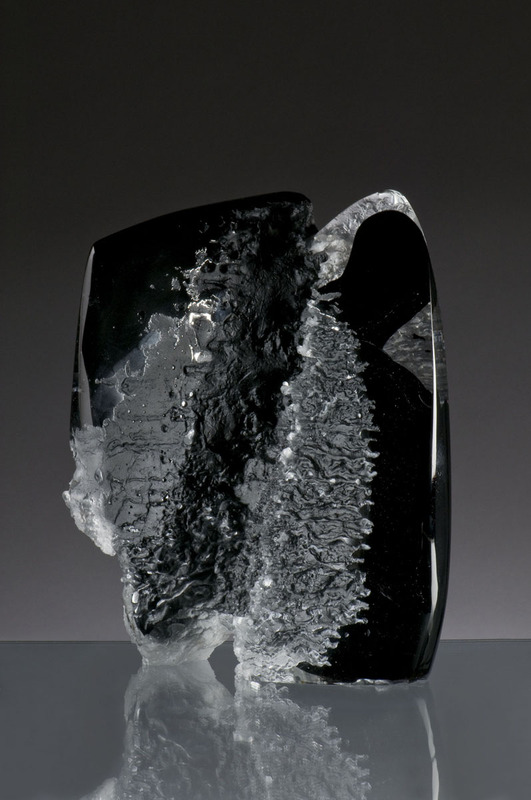 My intention is to harness the movement and transience of ice within the fluid, yet permanent, nature of glass. 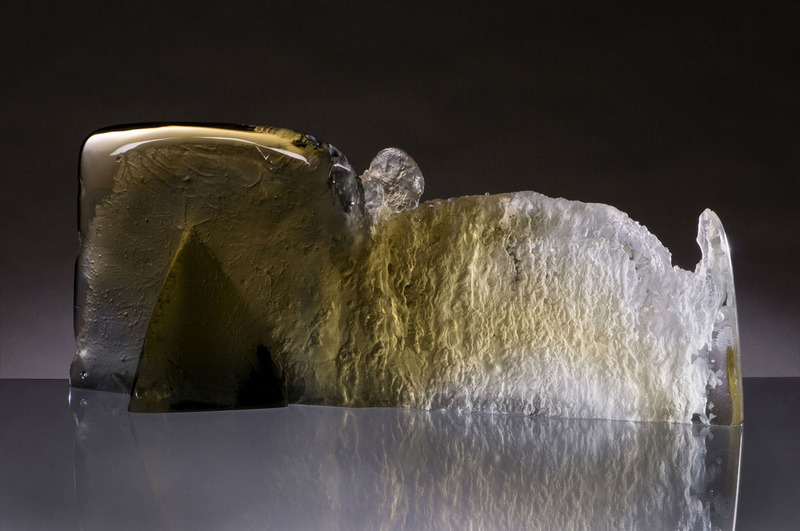 The ice is eroded and sculpted with salt then cast into glass, capturing a moment in time as the ice is melting. This thawing of ice provides a physical time frame to work within, heightening the importance of artistic judgment and decision-making. I have a fascination with turning one thing into another and the reaction of materials and energies acting upon each other. This direct approach provides an energetic, spontaneous working method and creative mindset. This energy lives on within the work, giving a sense of progression and evolution within a solid, permanent form. My latest body of work aims to represent landscapes and structures within them. I focus on Britain’s rugged coastlines and its rural countryside, looking at its erosion as a fascinating spectacle of discovery and generation of form. 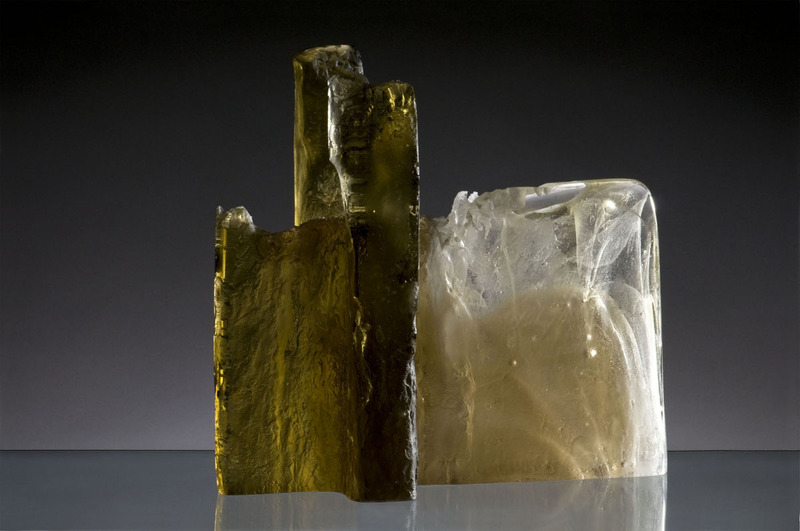 Born in Taunton, UK in 1979, Joseph Harrington graduated with honors from Buckinghamshire New University (formerly Buckinghamshire Chilterns University College) with a bachelor’s degree in ceramics and glass. 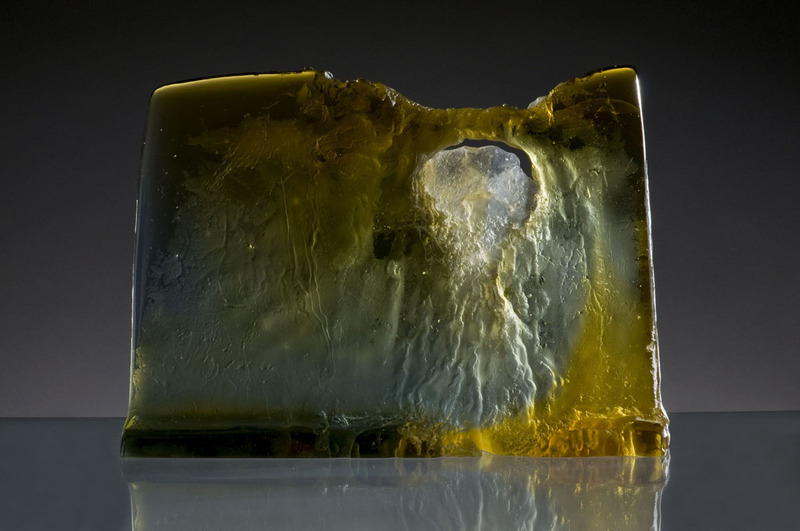 He spent two years as assistant to glass artists Sally Fawkes and Colin Reid in Stroud, Gloucestershire. 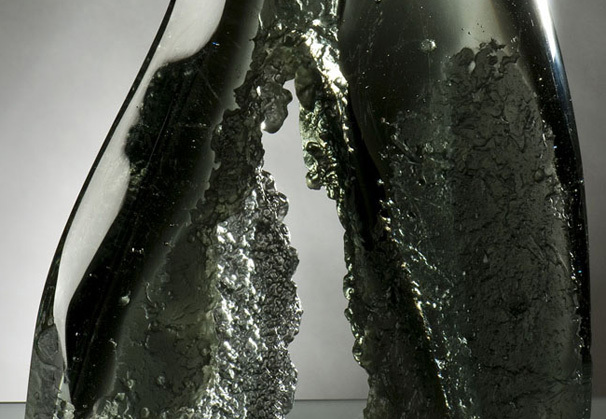 In 2006, Harrington received his master’s degree from the Royal College of Art in London in ceramics and glass. 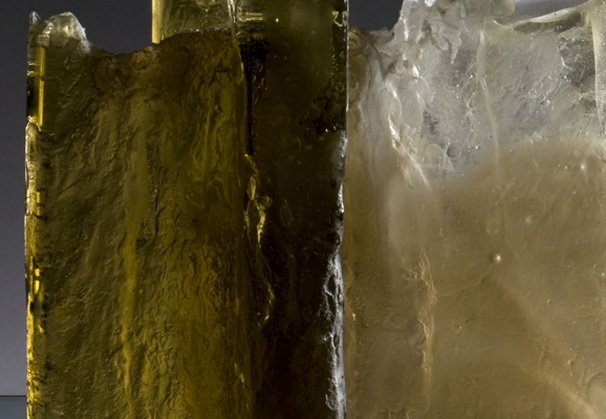 Today, Harrington works as an independent artist using cast glass as his medium. 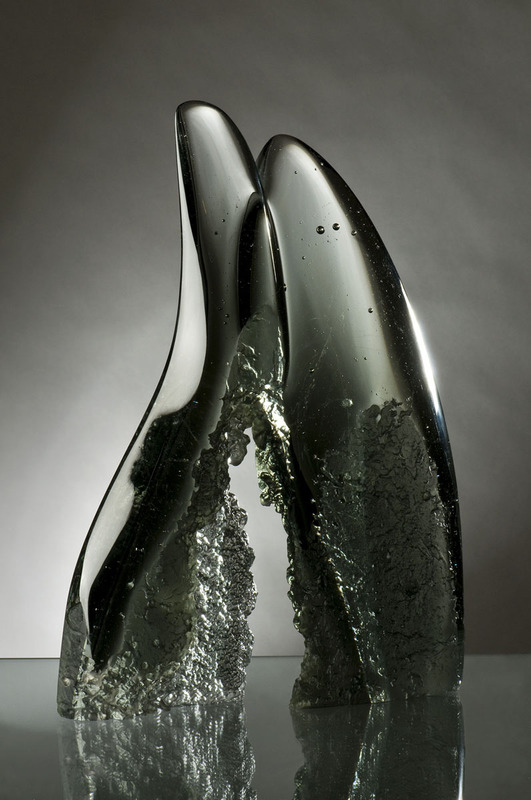 He also is an assistant to glass artist Bruno Romanelli in London. 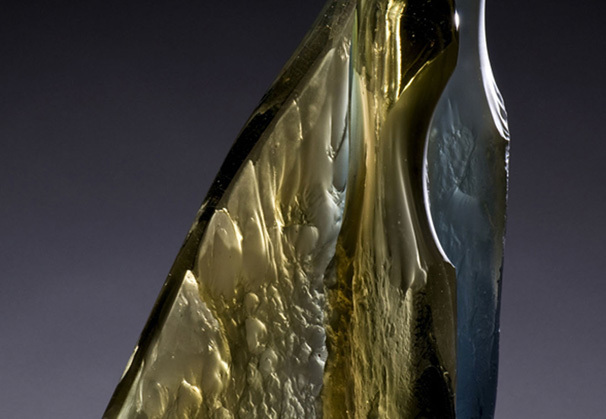 Harrington teaches at Havering College in Essex and at Liquid Glass Centre in Bath. 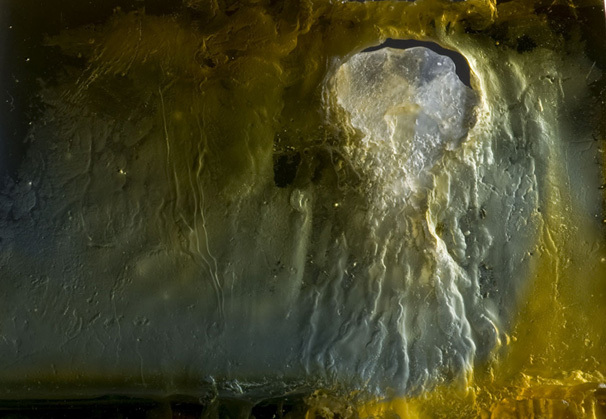 In 2010 he received the Jerwood Contemporary Makers Prize, Jerwood Space, London. 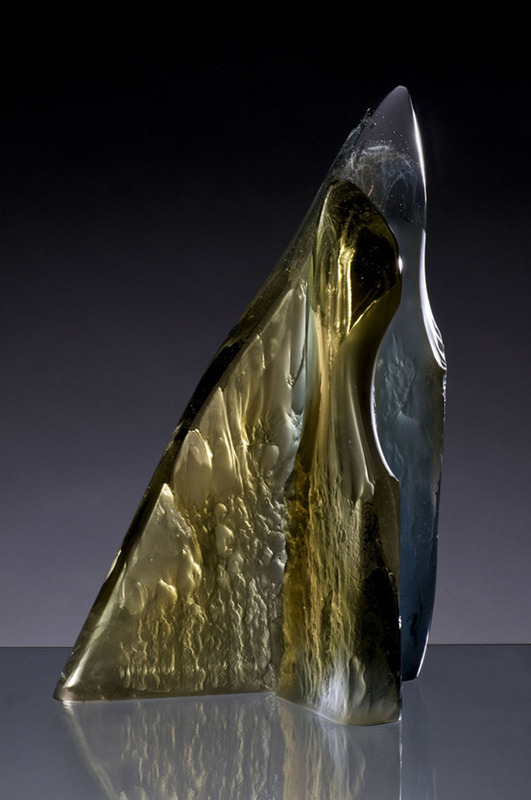 Previous awards include the Crafts Council Development Award in 2007, Neroche Decorative and Fine Arts Society Award in 2006 and Pilkington Glass Scholarship, Royal College of Art, London, in 2005. Click here for an artist's resume. 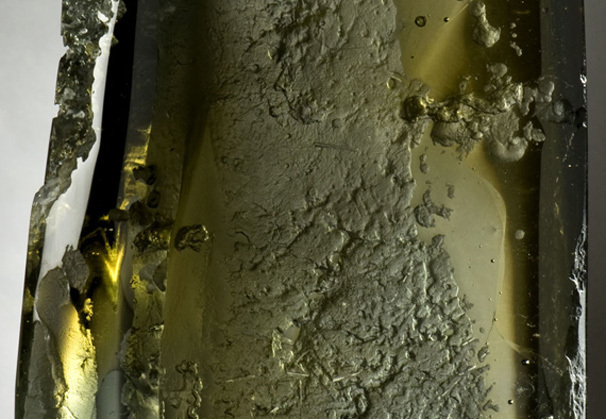 We are grateful to Bullseye Gallery, Portland, Oregon, for providing the materials for the Artist of the Month.